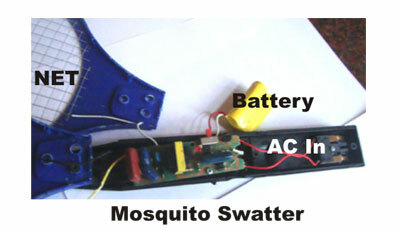 The mosquito swatter has three sections. 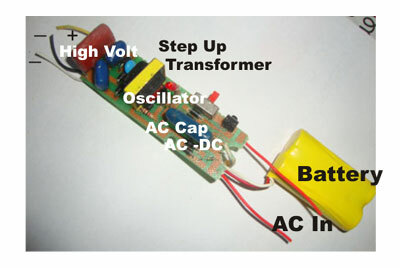 3.A step-up transformer to generate high voltage AC by inverting the DC to AC. 4.Net or Grid – The high voltage low current pulses passes into the net. The grid set up has three nets. Two outer nets are negative and the middle one is positive.